Our kids gave us native trees for our upcoming birthdays! 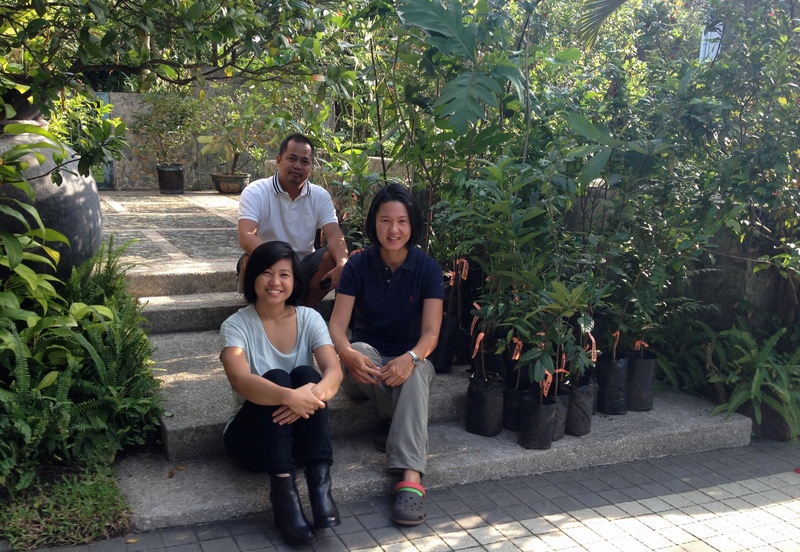 Monica, our New-York based illustrator daughter who was in Manila for a short visit orchestrated the tree-buying, with some help from her Lola’s car, driver, and gardener! The trees came from the nursery of Imelda Sarmiento, the Project Director of Philippine Native Trees 101: Up Close and Personal. Right before we dropped off Monica at the airport!